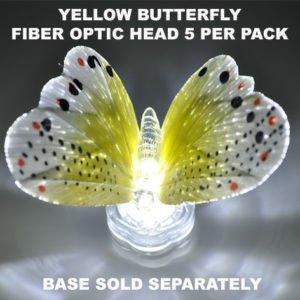 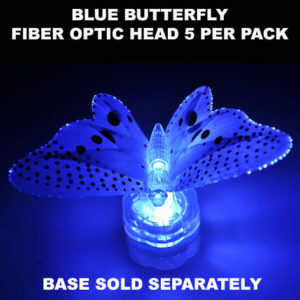 Fiber Optic Butterflies attach to the Sparkle Lites Bases & light up the colour of the light base you choose. 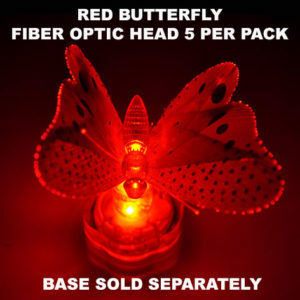 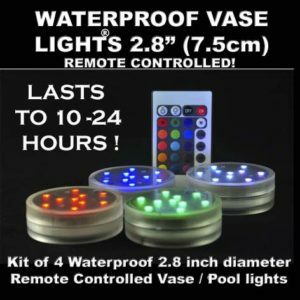 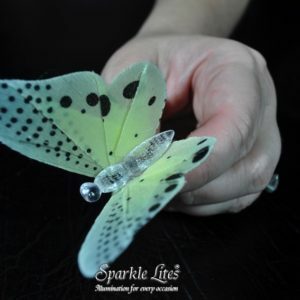 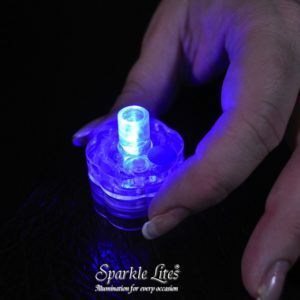 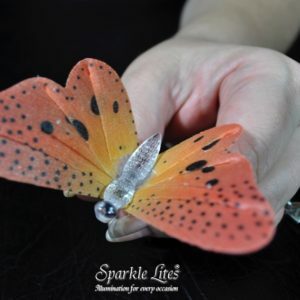 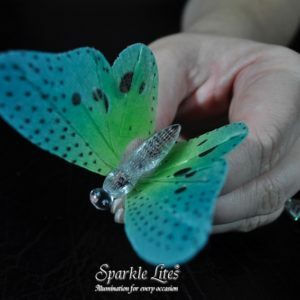 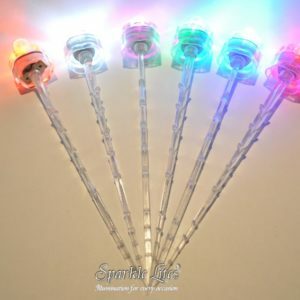 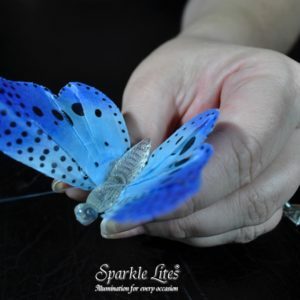 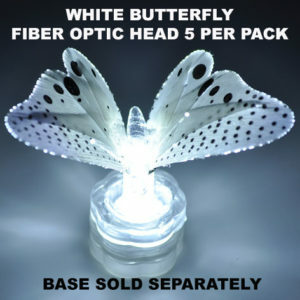 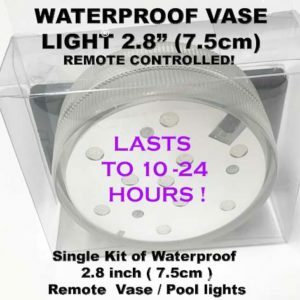 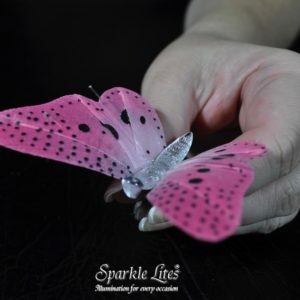 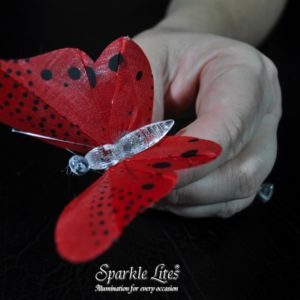 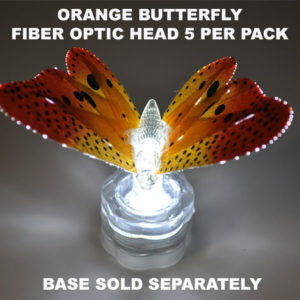 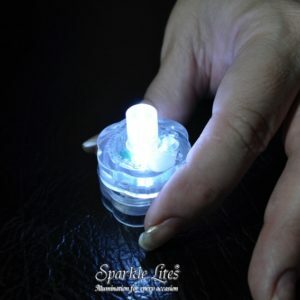 Beautiful Sparkle Lites® Fiber Optic Butterflies, they sit atop the Sparkle Lites® Base, ( sold separately ) and they glow or blink beautifully for 24 hours or more, you can turn them on and off by pressing the tine waterproof switch on the top of the base. 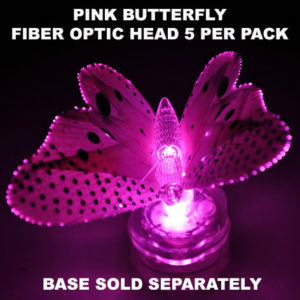 You can choose any colour butterfly and any color Sparkle Lites® light base to create a myriad of colour combinations, put a pink butterfly atop a blue base and get a purple hue of light, a blue butterfly atop a pink base for a reverse purple hue of light, the combinations are many. 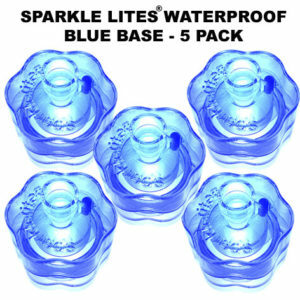 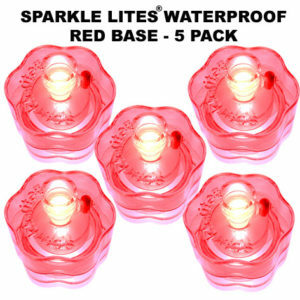 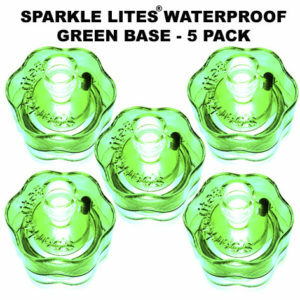 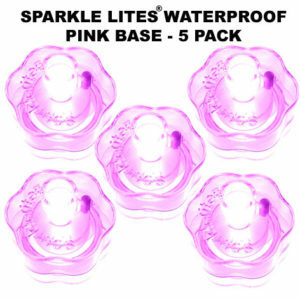 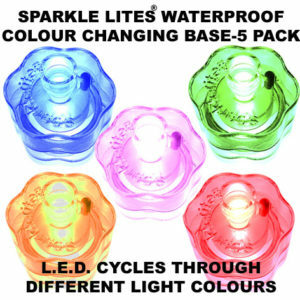 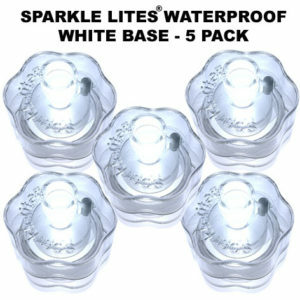 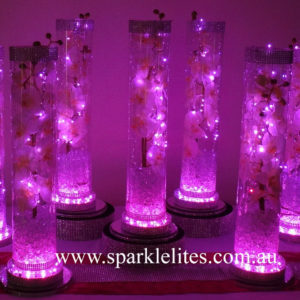 Everything about the Sparkle Lites® system is waterproof, including the butterflies and the base. 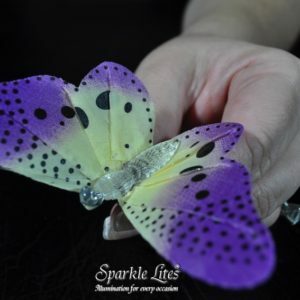 Beautiful butterflies,we love them! 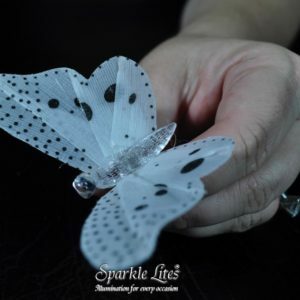 Watch the Sparkle Lites® Butterflies video to the left to be inspired and get a full understanding of how the Sparkle Lites® system works and the many applications of butterflies in floral arrangements, centrepieces, in fact any kind of table decor. 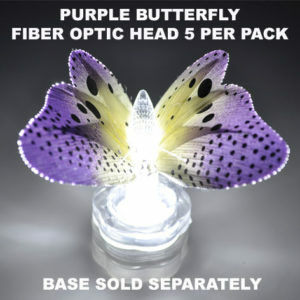 CLICK HERE to view our photo gallery of Butterflies. 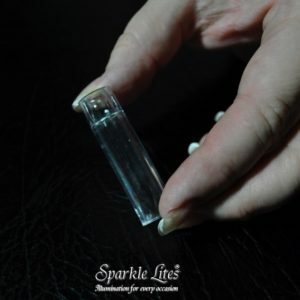 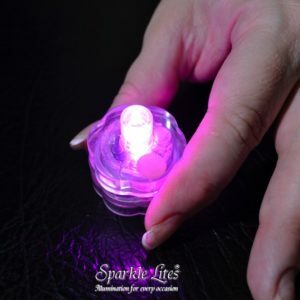 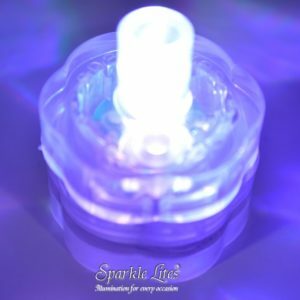 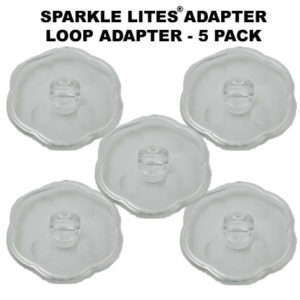 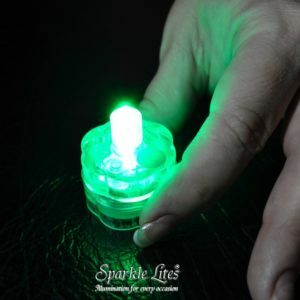 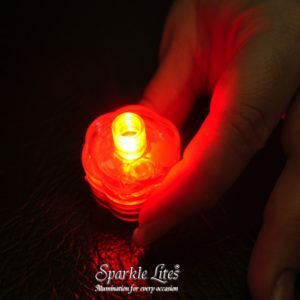 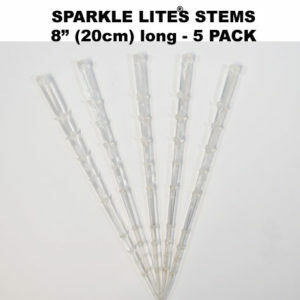 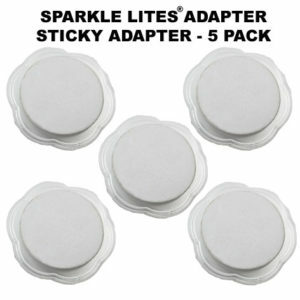 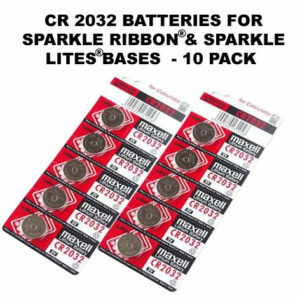 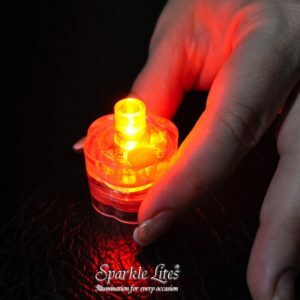 CLICK HERE to view all of our Sparkle Lites® Videos. 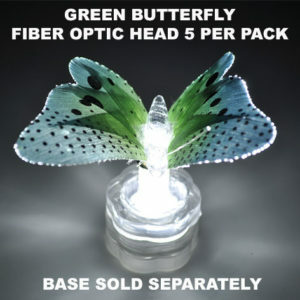 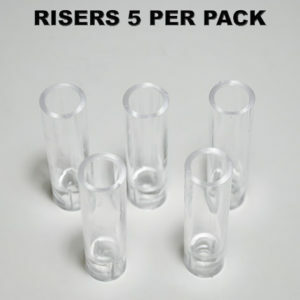 Remember – Bases and heads are sold separately.